Growing up in central Montana, we were lucky to have easy access to three of the country’s 59 national parks (even if we sometimes took it for granted). 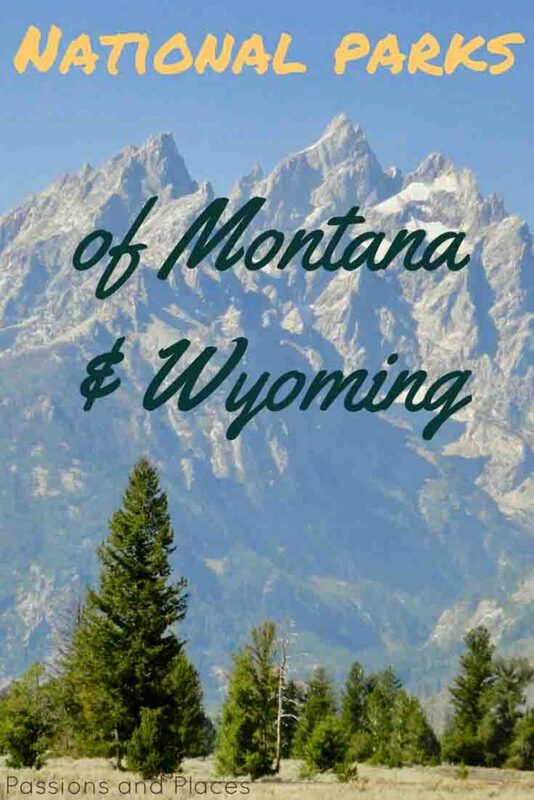 If you’re looking for road trip ideas, camping destinations, or just places to enjoy nature, consider one of the stunning national parks in Montana and Wyoming, all of which rank within the top ten most popular parks in the U.S. We promise, none of them will disappoint. 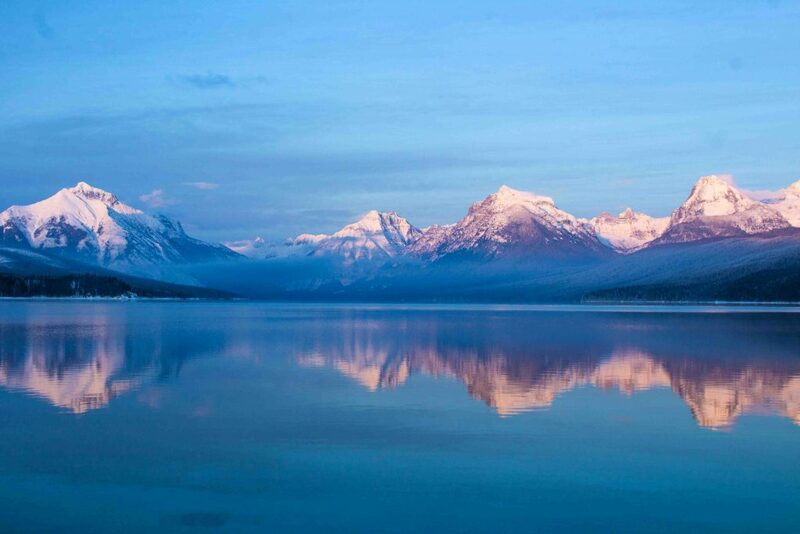 Along with its ski resorts, our home state is perhaps best known for Glacier Park, which runs along the Canadian border. A lesser-known fact? 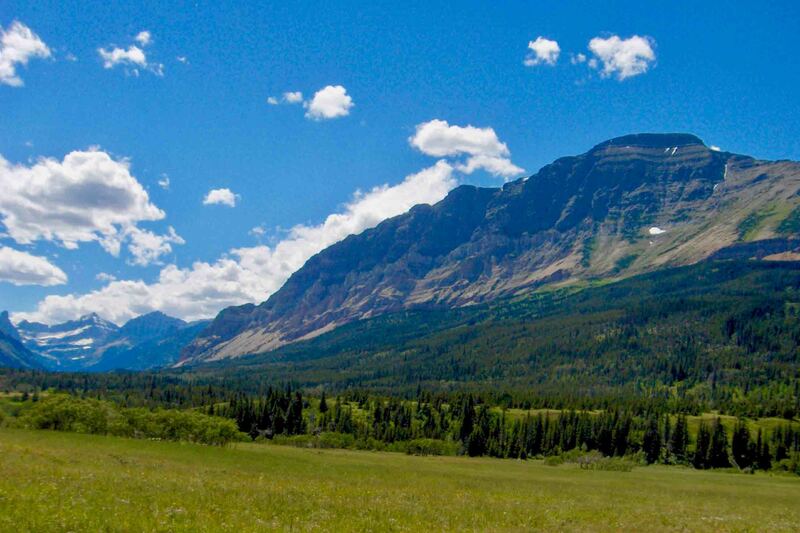 It joins Canada’s Waterton Lakes National Park to make up the world’s first international peace park. Named for the glaciers that cover many of its mountains – which have largely melted and are at risk of disappearing completely – the park encompasses nearly 1,600 sq. mi., making it about the size of the state of Rhode Island. The closest airport is in Kalispell, 25 miles from the park’s western entrance. But if you live in Seattle, Minneapolis, Milwaukee, or Chicago, a more interesting way to reach the park is on Amtrak’s Empire Builder train. Train travel was the original way to reach Glacier before the automobile age, and both entrances have picturesque train stations and hotels built in the early 1900s. During the summer months, when daylight in Montana extends from the early morning until 9:30pm, you’ll experience a wonderfully scenic ride along the park’s southern edge. The ski resort town of Whitefish lies just 40 minutes from the park’s western entrance and provides a great jumping-off point with plenty of unique accommodations and an excellent variety of restaurants. The town isn’t very big, but you could spend hours taking in the six blocks on either side of Baker Street. Also, make time to grab a beer at Great Northern Brewery; if you have trouble finding your way there, it’s the tallest building in town. During the winter, Whitefish Mountain Resort has some of the best skiing in the state and is a must for skiers and snowboarders visiting the area. 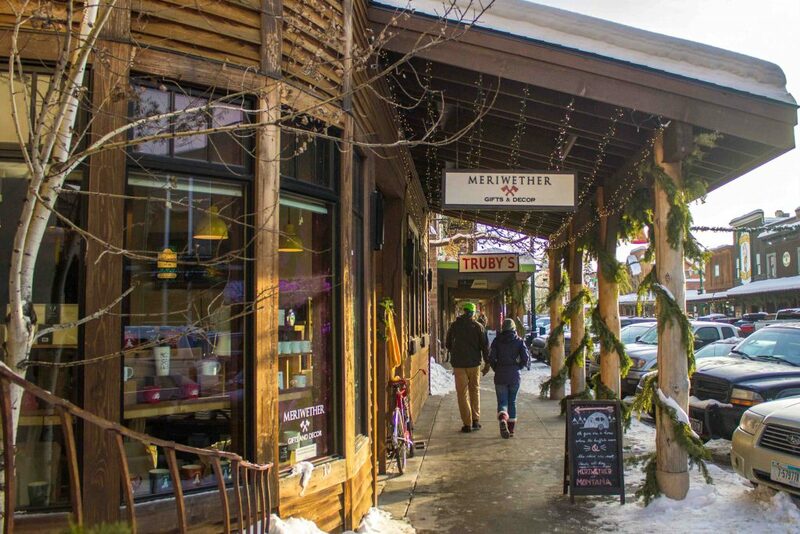 As a ski town, there are also tons of outdoor gear shops to pick up any supplies you might have forgotten. Going-to-the-Sun Road: Despite all the amazing hiking and cross-country skiing opportunities in the park, some people come here to just to drive through. 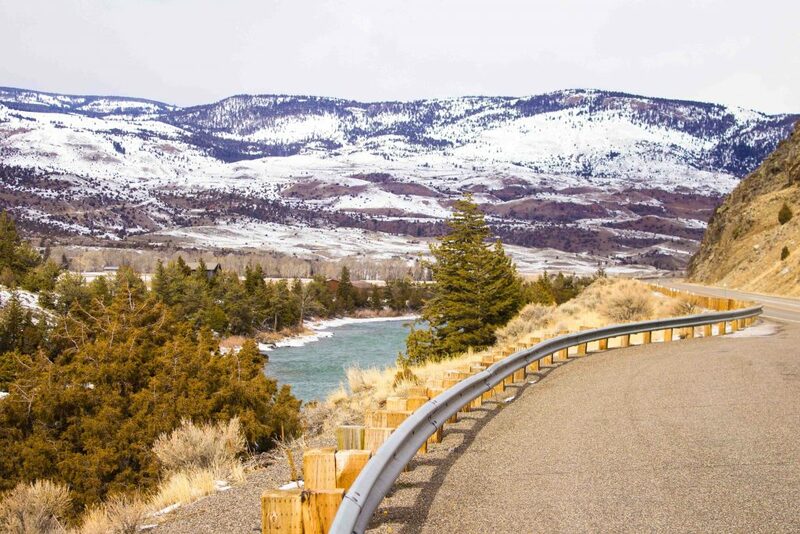 It’s no ordinary drive, though; Going-to-the-Sun is the only road that traverses the park and is regularly named one of the most scenic drives in the world. The road is only passable four months out of the year, typically opening in mid-June after months of snow clearing and avalanche repairs. For 50 miles, it winds its way through the park’s interior, often around tight hairpin turns, from Lake MacDonald over Logan Pass to Saint Mary Lake. The views are astounding, slowing traffic to a crawl as vacationers hold cameras out their vehicles’ window to take a once-in-a-lifetime shot: massive glaciers, waterfalls spilling onto the road, and sheer drops to canopies of greenery thousands of feet below. Even if it’s touristy, it’s a drive not to be missed. But try to arrive early in the morning if you’d like your selfies to not have crowds in the background. Alternatively, take one of the free shuttles along the road; they leave every half hour or so and make stops at most of the overlooks, waterfalls, and major trailheads; you’ll be helping to reduce traffic congestion and pollution in the park. Lake MacDonald: It’s largest lake in Glacier Park and the center of outdoor activity on the park’s western side. The Lake MacDonald Lodge is located on the northeastern end of the lake and is one of the original Swiss chalet-style buildings constructed upon the park’s opening in 1910. 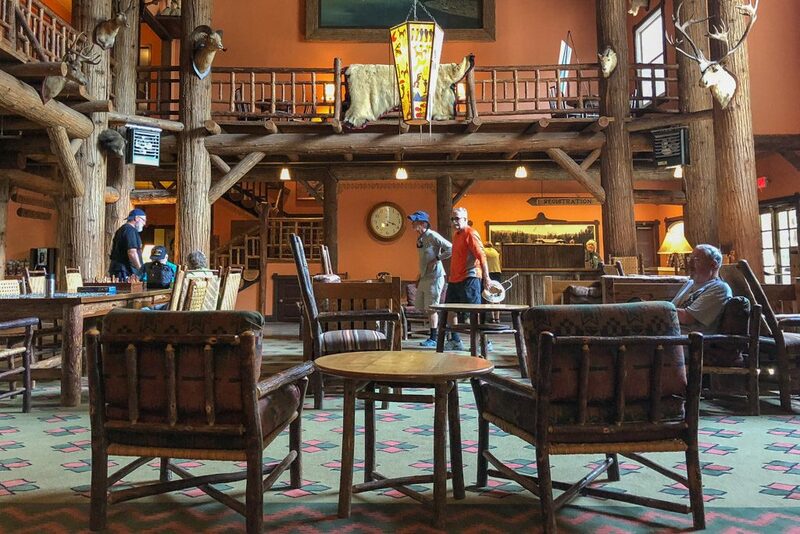 You can spend the night here, but the rooms aren’t cheap ($215/night) and they sell out months in advance – better to come for a meal or a drink and enjoy the rustic grandeur of the hotel’s lobby. Glacier Park Boat Company offers rowboat and small motorboat rentals from their shop on the lake. However, they charge quite a bit for a rowboat ($18.50/hour), and motorboats are a detriment to the tranquility of the lake. Another option is to rent a kayak for the day at Glacier Guides in nearby West Glacier. If you have your own boat, you’ll have to leave it at home; the park’s lakes currently prohibit personal watercraft due to an infestation of invasive mussels (kayaks should be allowed by summer, but check the park website for updates). Saint Mary Lake: Saint Mary Lake doesn’t get quite the attention Lake MacDonald does, mostly due to being smaller and not having a Swiss chalet along its banks. Nevertheless, the lake provides some of the best views in the park, as there’s relatively little tree cover on the mountains surrounding it. If you’re looking for a photo op, it’s less crowded and has more open vistas than Lake MacDonald. Saint Mary also allows kayaking, and many paddlers enjoy taking a trip around Wild Goose Island, the only island in the lake. If the scenery looks a bit familiar to you, it’s because it appears in the opening shot of The Shining. Logan Pass: The highest point on the Going-to-the-Sun Road at 6,700 feet, Logan Pass is also one of the best places to start a hike. 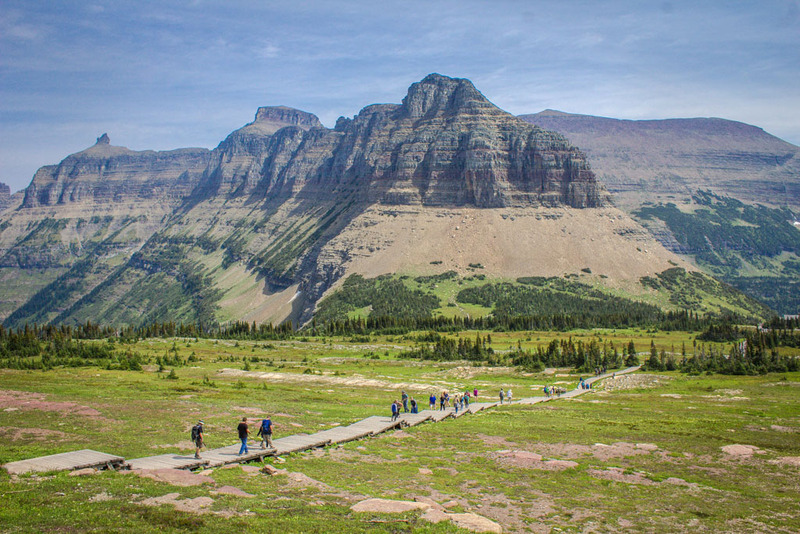 Perhaps the most impressive day hike in the park uses the Highline Trail from Logan Pass to reach what’s known as the Garden Wall region. With spectacular views, only 500 feet of elevation gain, and a shuttle back to Lake MacDonald from the end, it’s a can’t-miss hike. Even though the U.S. and Canada share the world’s longest international border, crossing it still requires passing through immigration and customs stations that can take up to an hour. But what if you could just walk across (legally)? The border divides Glacier from Waterton Park, but because of its designation as an international peace park, you can hike right on through (sort of, there’s a ranger that stamps passports at a picnic table). 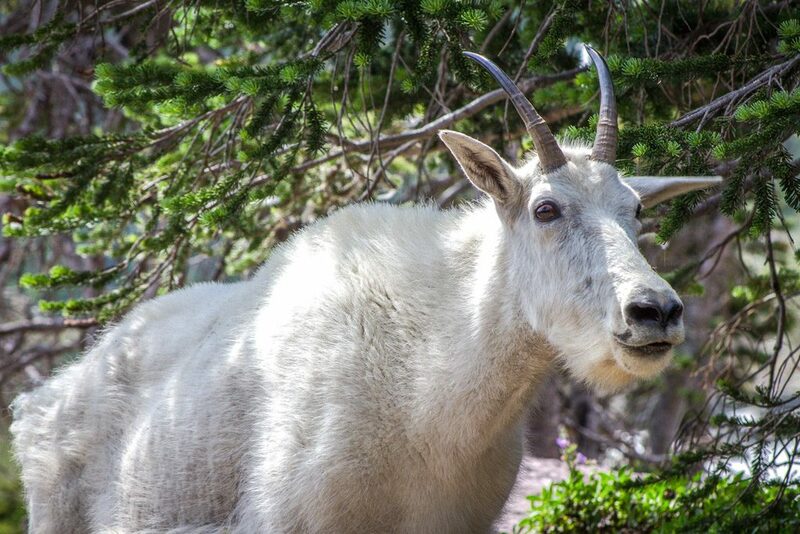 The area known as Goat Haunt is mostly visited by tourists from the Canadian side who cross Waterton Lake on a ferry and check in at the ranger station for a short jaunt into the U.S.
A much more interesting itinerary is to take a 29-mile, multi-day backpacking trip through some of Glacier’s most remote wilderness to reach the border. Start the hike at the Chief Mountain Trailhead in the park’s northeastern corner (less than 1,000 feet from the Border Patrol Checkpoint). From there, descend down to the Belly River and then ascend to Stony Indian Pass. After the pass, descend to the Waterton Valley and visit the Goat Haunt Ranger Station to clear immigration into Canada. 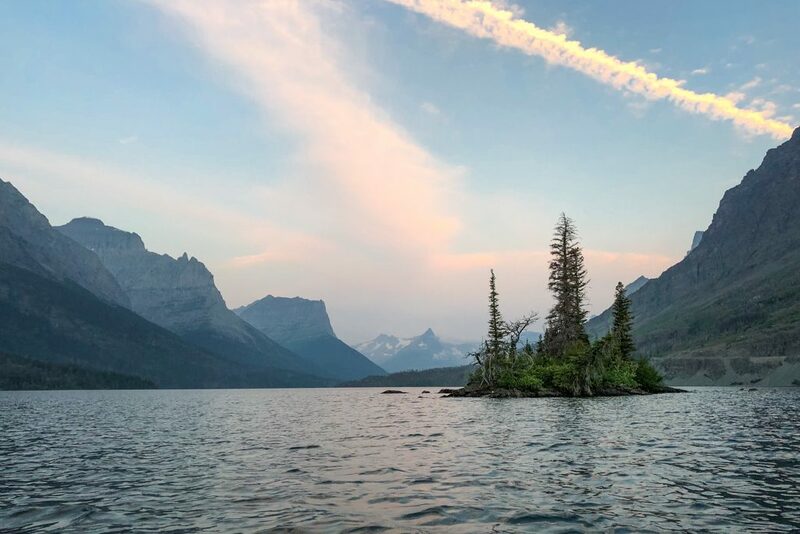 Hop on the ferry for an incredibly scenic boat ride over Waterton Lake, and then take the shuttle from the marina to return to your car back on the American side. The country’s first national park, Yellowstone sits on the border of the three states, but Wyoming claims the largest share by far. Comprised of nearly 3,500 sq. 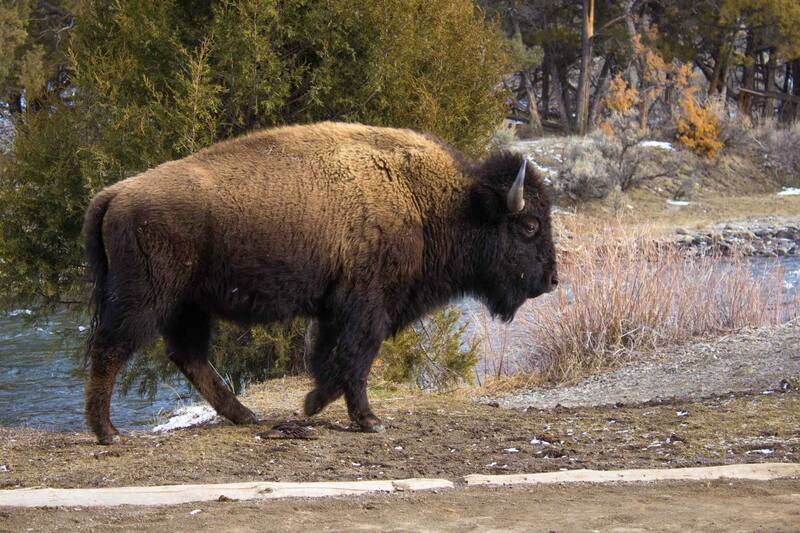 mi., Yellowstone is the second-largest national park outside Alaska, and more than twice as big as Glacier. 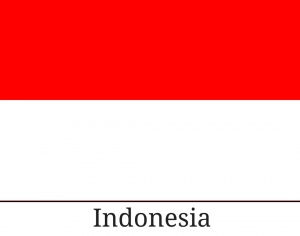 Oh – and it’s home to the world’s largest concentration of geothermal activity, but contrary to the occasional media hype, it’s probably not about to explode and destroy the earth. 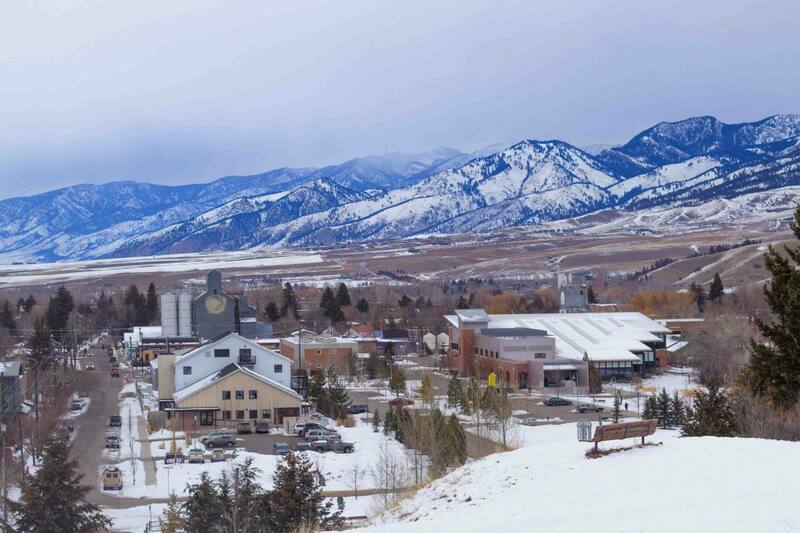 Most visitors fly into the Bozeman Airport, which is an hour and half from the park’s northern entrance (near Mammoth Hot Springs) and two hours from the West Yellowstone entrance (closer to Old Faithful). There’s a closer airport in West Yellowstone, but with just a couple flights a day from Salt Lake City, flying there is more expensive. We think Bozeman is worth a visit even if you’re not headed to Yellowstone, but we’re a bit biased since it’s probably our favorite town in Montana. The adventure hub of the state, this little college town packs in everything that is great about Montana. It boasts some of the best restaurants, from international cuisine to the more quintessentially Montanan, like bison burgers at Ted’s Montana Grill. 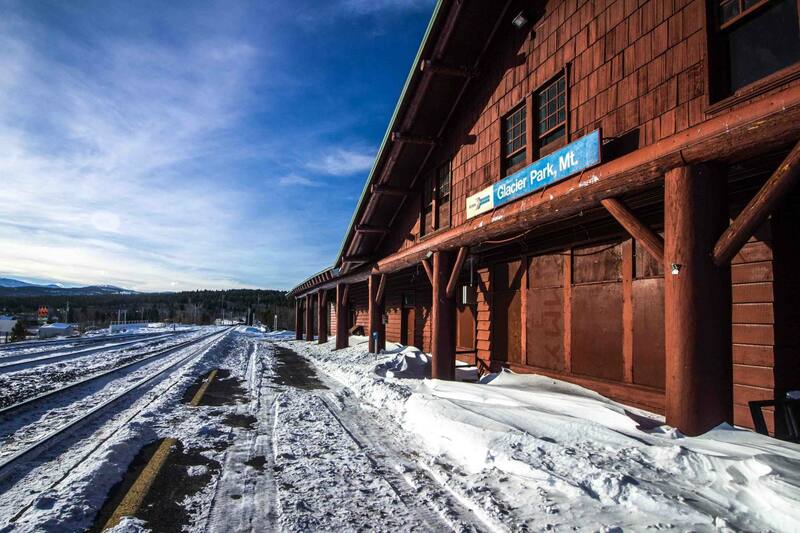 If you’re visiting in the winter, our favorite ski area in Montana, Bridger Bowl, is only a 20-minute drive away. And if you want to relax during your days outside the park, you can check out some of the town’s art galleries, quaint downtown shopping, spas, and yoga studios. Old Faithful: It’s what almost every visitor to Yellowstone comes to see; every 1-2 hours, with astounding predictability, the geyser spews out a burst of steam and superheated water that’s up to 185 feet tall. 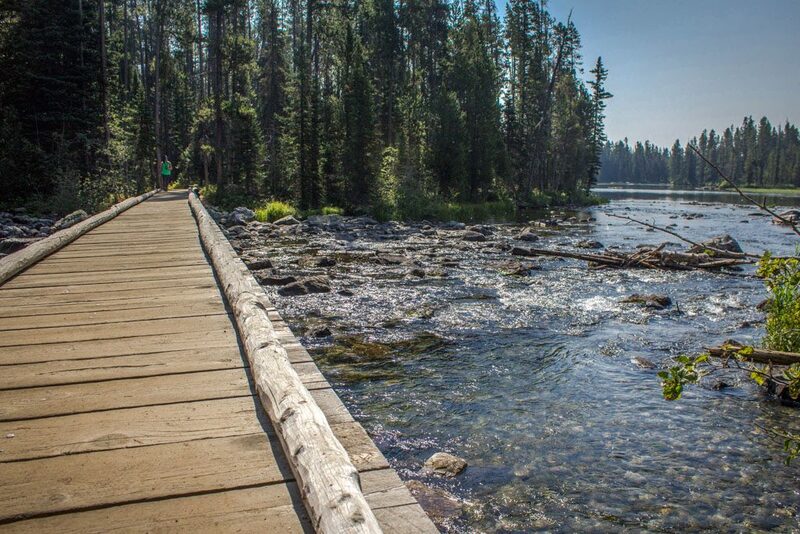 Old Faithful is also the starting point for a hike along the Firehole River that visits four other geysers, along with the rainbow-colored waters of Morning Glory and Mirror Pool. It’s only five miles round-trip and provides a snapshot of the strange geology that is Yellowstone. 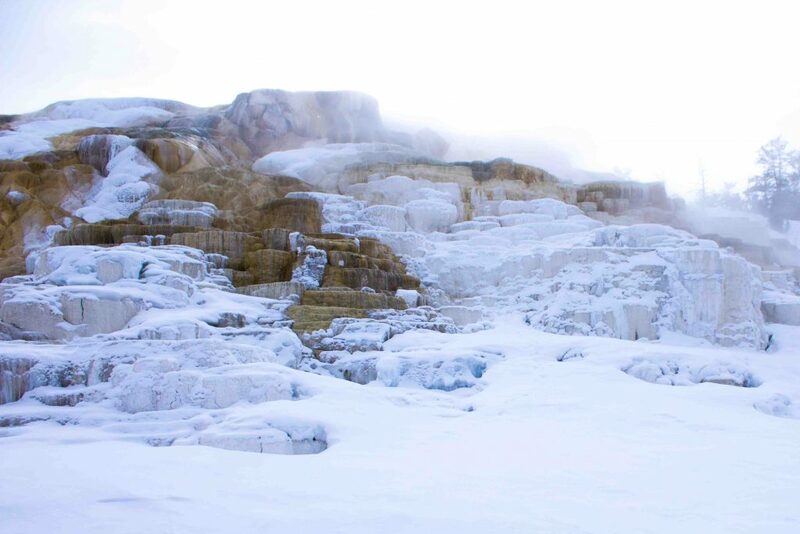 Mammoth Hot Springs: In 1886, President Cleveland sent the U.S. Army to Mammoth Hot Springs to secure the area against poaching and vandalism. Those soldiers must have thought they’d walked through the gates of hell when they reached the hot springs. Four stories tall, belching out clouds of sulfur fumes, and covered in an otherworldly crust of white and orange calcium – it must have been quite an unexpected sight. Today, it’s one of the park’s most popular features, as visitors can climb a series of walkways crisscrossing the alien landscape the hot springs have created. 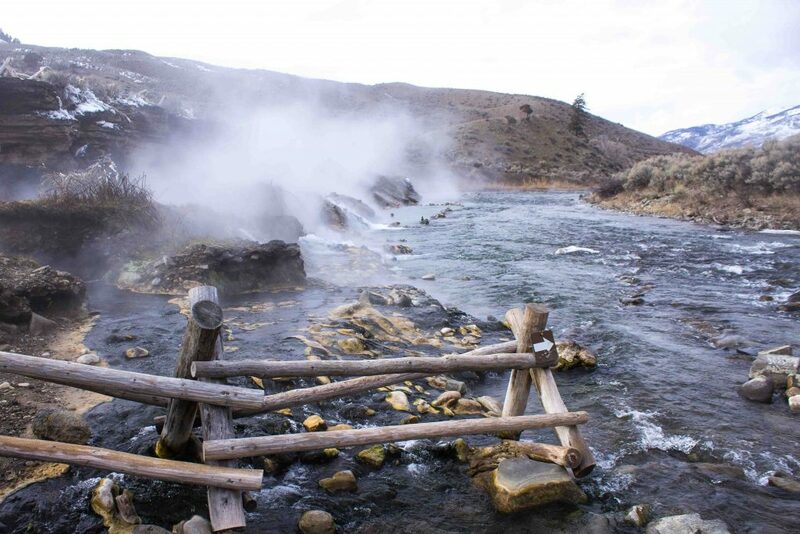 The Boiling River: Grab your bathing suits, because just a few miles from Mammoth Hot Springs, the icy-cold Gardiner River meets the runoff from Boiling River hot springs, forming the perfect conditions for a swimming hole. But you have to stay in just the right spot! In a matter of feet, the water temperature can go from giving you hypothermia to burning your skin. Thankfully, rocks have been placed to direct swimmers along a safe route where they can enjoy the natural spa. Winter in the Park: Most people come to Yellowstone during the summer, when the sun is shining… and the roads slow to a crawl with tourists. While the park is nice to visit in the warm weather, there’s nothing quite like seeing its grandeur without having to share it with a hundred other people. Unfortunately, from November to mid-April, most of the park’s roads are closed. During these months, you can join snowmobile tours (polluting and quite noisy), take on a snowcoach trip (extremely expensive at $120/per person), or cross-country ski. We suggest the latter option, and while it might take some muscle to get there, it will make the views all the more stunning. The road from Mammoth Hot Springs to the northeast entrance at Cooke City is plowed and kept open year round, but you can ski any of the roads branching off from it or any of the multitude of hiking trails. Think about scuba diving, and you’ll probably have an image of clear blue water, colorful fish swimming about, and a sandy beach to come back to at the end of the day. Well, not here. At over 7,500 feet, Lake Yellowstone is one of the largest high-altitude lakes in the world – and one of the most active geothermal sites. To dive it, you’ll need experience in both cold-water and high-altitude diving. One of the best dive sites is the West Thumb Geyser Basin, where you can see firsthand some of what’s brewing just beneath your feet elsewhere in the park. Vents pump out boiling hot water alongside gases that feed a plethora of algae species unique to this type of climate. It’s a seriously unique place to dive; just don’t approach the features too closely. At 500 sq. 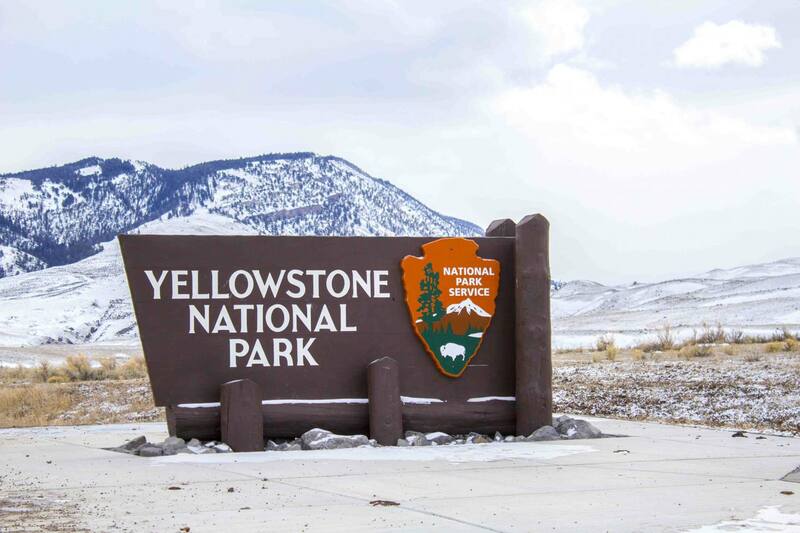 mi., Grand Teton is by far the smallest park on this list, though it’s actually connected to Yellowstone by a 10-mile scenic highway. But what it lacks in size, it makes up for in height: ten mountains in the park climb higher than 12,000 feet, including its 13,775-foot namesake peak. Jackson Hole Airport lies inside the park – Grand Teton is actually the only U.S. national park with its own airport – but be warned that flights aren’t cheap. There aren’t many other options, though, aside from flying into one of the airports near Yellowstone and then driving through the park (due to winter road closures, it’s only possible in the summer). The town of Jackson is a mere five miles outside the park. While it’s largely billed as a vacation spot for the rich and famous, there are budget-friendly accommodations and restaurants available, too. Just be sure to book in advance if you’re visiting during the busy summer season. For outside-the-park activities, there are even more hiking options, horseback riding opportunities, and river trips. At the end of the day, you can get pampered at one of the town’s many spas or hit up someplace like the Million Dollar Cowboy Bar, which promises to be a lively time. During the winter, Jackson transforms into a ski town, with several ski resorts nearby, including Snow King Mountain just six blocks away. 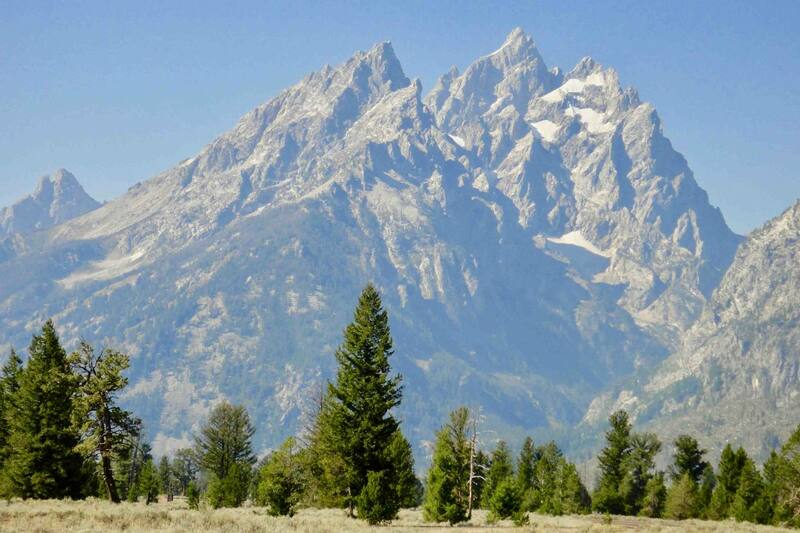 Signal Mountain: Signal Mountain is consistently rated as one of the top things to see in Grand Teton. While its elevation of about 7,700 feet isn’t particularly impressive compared to many of the park’s other peaks, it’s popular for its sweeping views of the Teton Range and Jackson Hole. Depending on how energetic you’re feeling, you can take a 6.8-mile (round-trip) hike up Signal Mountain or just drive up the paved road. 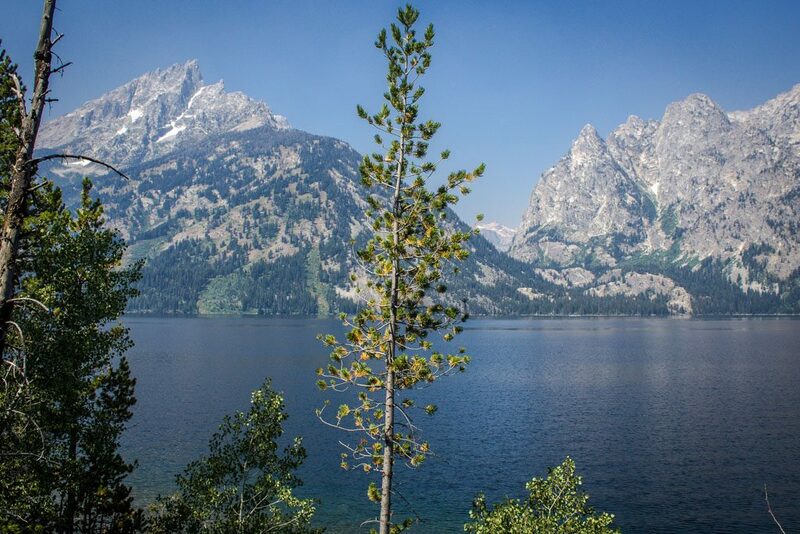 Jenny Lake: Grand Teton offers a plethora of hiking options, but the most popular one is at Jenny Lake. There are a few trails near the lake, but the 8.5-mile Jenny Lake Loop starts at the Visitors Center on its south side. In addition to circling the lake, it also passes both Hidden Falls, an 80-foot cascading waterfall, and Inspiration Point, a lookout that offers stunning vistas. If you haven’t had enough of the lake, you can also rent a kayak or canoe to paddle around or take a scenic boat tour with Jenny Lake Boating. Bike to another park! 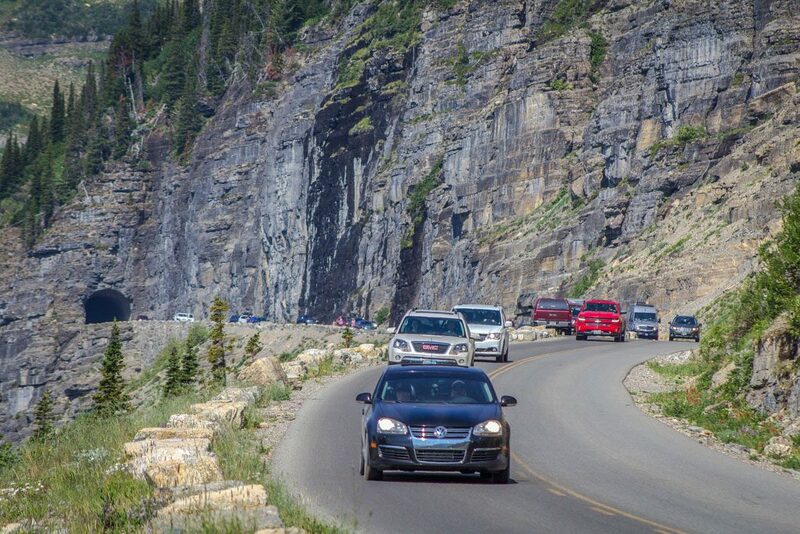 Remember that 10-mile road we mentioned that connects Grand Teton with Yellowstone? If you really want to earn your chance to see two national parks in one day, you can bike it instead of driving. Starting at the northern edge of Jackson Lake in Grand Teton, the road takes you to the south entrance of Yellowstone. 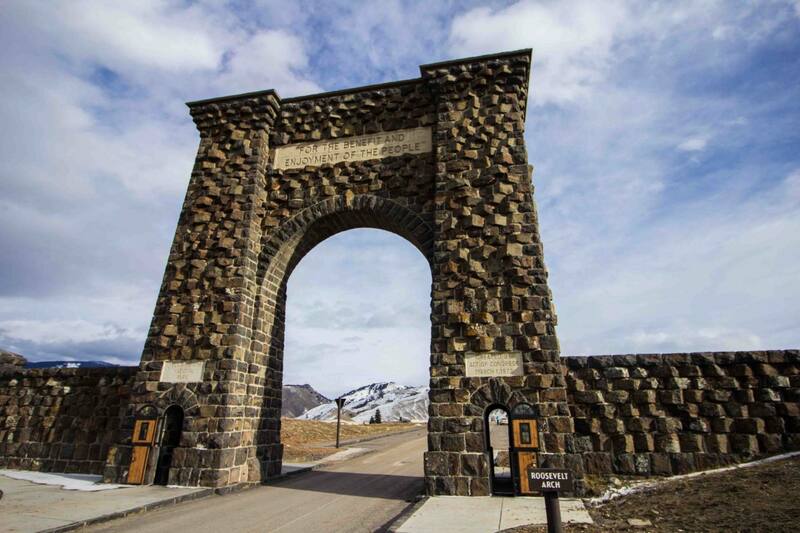 Unless you have the America the Beautiful pass that covers admission to all the national parks in the U.S., you’ll have to pay Yellowstone’s admission fee separately. The good news is that it’s only $15 for bicycles; the bad news is that everyone has to pay individually. What’s your favorite national park? Have you visited any of these? The US has so many stunning National Parks and I hope I get see them all one day. Yellowstone is high on my list and your post has only made me want to see it more. Love the sound of the international hike as well. beautiful! besides Yellowstone I hadn’t heard of the other parks. I’d love to visit them all one day! 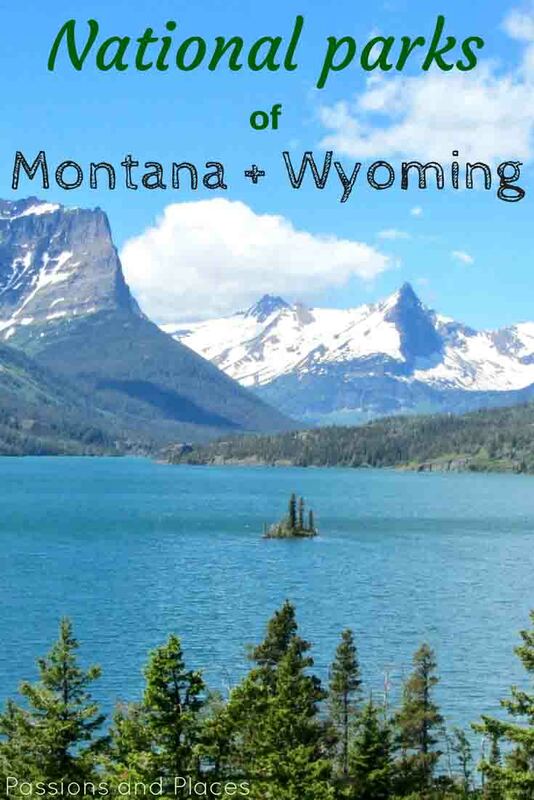 Yellowstone is the most well known, but all three parks should be included in any visit to Montana! Wow, you’re so lucky to live near three amazing national parks. I’ve always wanted to visit Yellowstone and I enjoyed reading about two I didn’t previously know much about. I love how you can cycle from the Grand Teton to Yellowstone! It’s not that popular, but cycling between the two is an amazing experience. Going from Yellowstone to Teton is a bit easier as there’s a 1000 foot elevation difference between them.